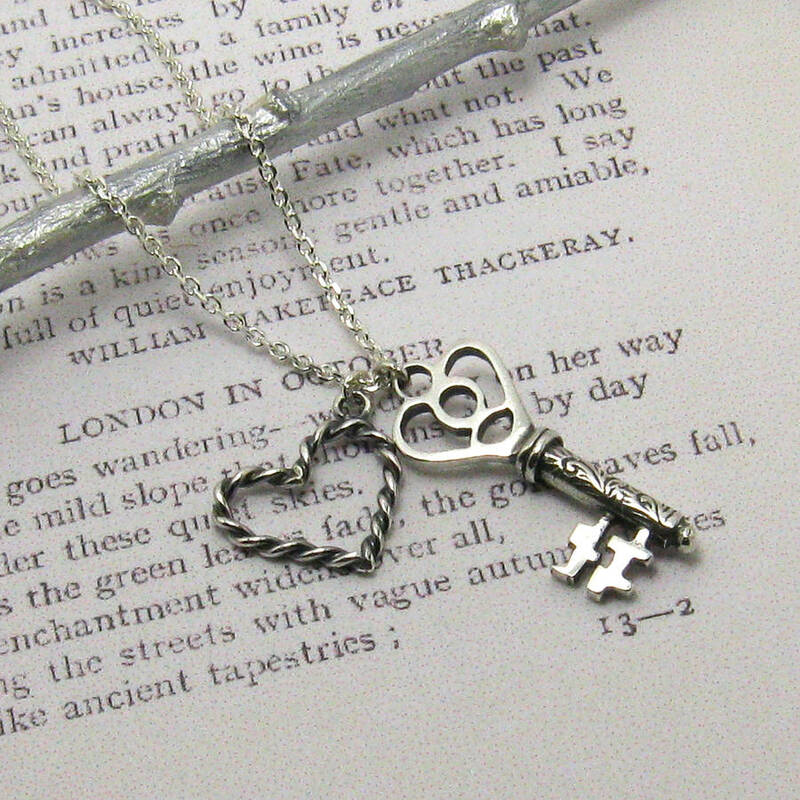 This stunning Key to My Heart necklace has two charms, an engraved victorian style key and a heart charm all made in sterling silver. A lovely gift to celebrate friendship and love. 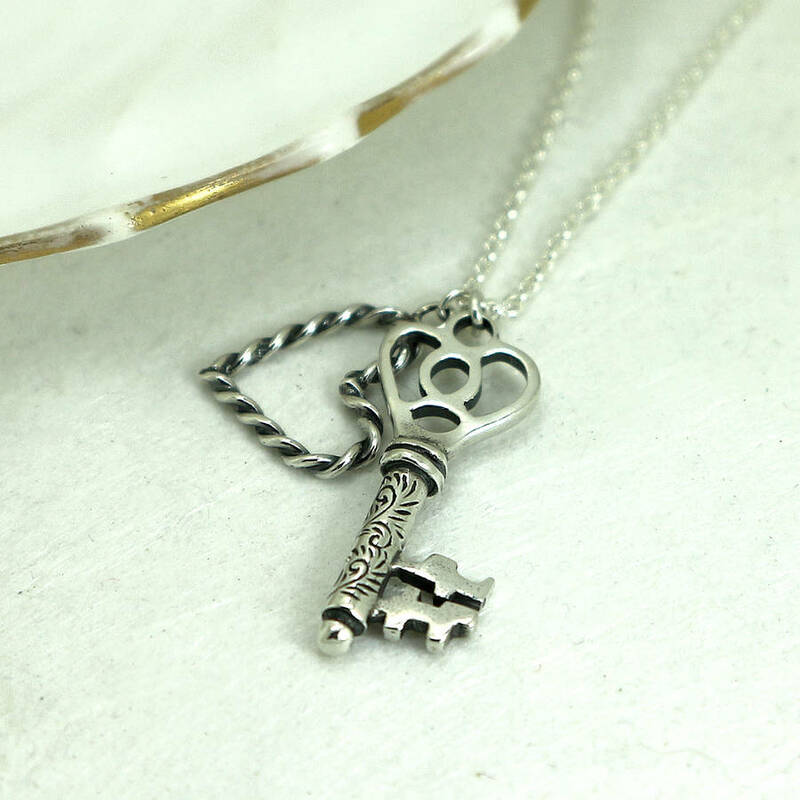 The key charm has beautiful detailed engraving on it and the heart charm has twisted style, both have been blackened and polished to show the finely wrought decoration. 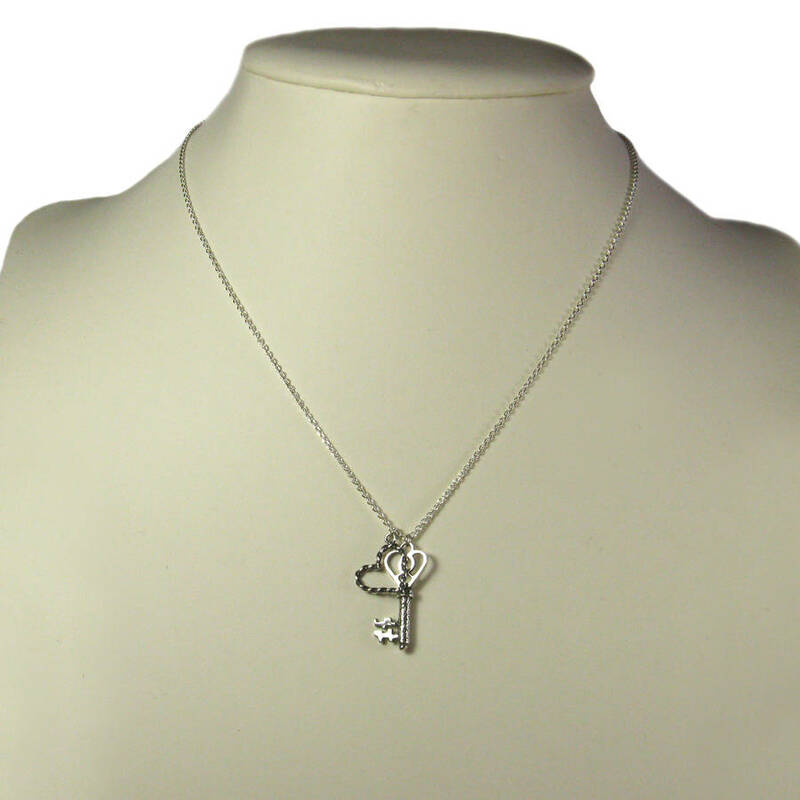 Available in different chain lengths, it can be on a 28" chain which is perfect for layering with other necklaces. All handmade in my London studio using traditional jewellery techniques. This is available on 16", 18" or 28" chain lengths. The key measures 2.5cm x 1.5cm. The heart charm measures 1.5cm x 1.5cm. Chain lengths are 16", 18" or 28". 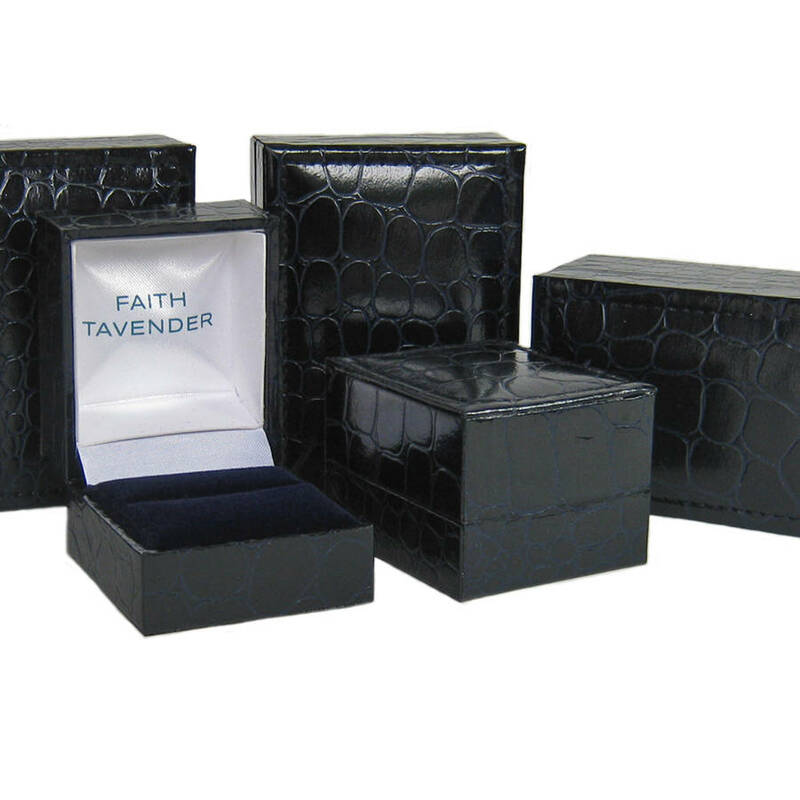 All my jewellery is packaged in midnight blue branded boxes and delivered free of charge in the UK with Royal Mail Special delivery, this is a signed for service. 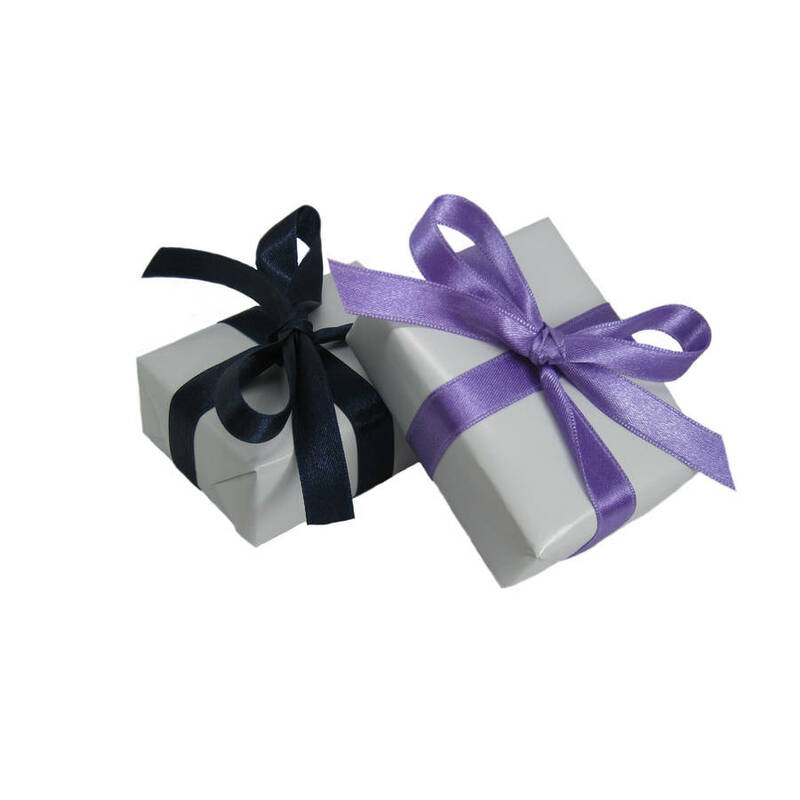 If you would like your jewellery gift wrapped, please choose a ribbon colour option, either navy blue or purple.